Hummingbird is pure JOY! They teach us the importance of allowing ourselves to be receptive to heart-opening experiences. These experiences will bring more and more love into your life. 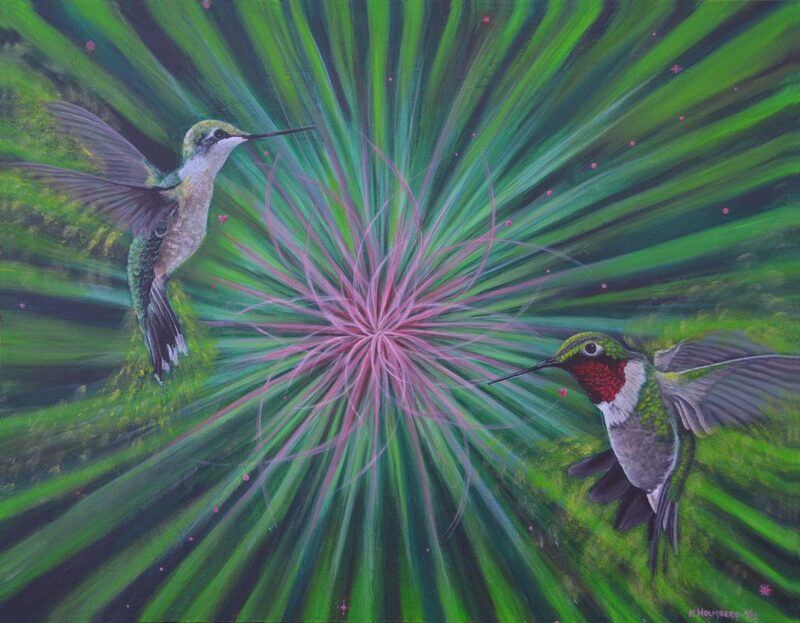 Hummingbirds fly in a figure 8-pattern. The number 8 is symbolic for infinity, which links us to the past and the future. It represents the laws of cause and effect. Hummingbirds have an intricate relationship to flowers. They rely on the Nectar of life for their very survival. Use the fragrance, color, and herbal qualities of flowers as a tantalizing connection to the emotional sweetness of your life! Surround yourself with others who share a positive and joyful disposition. Express your love to all of the important people and animals in your life, including yourself!